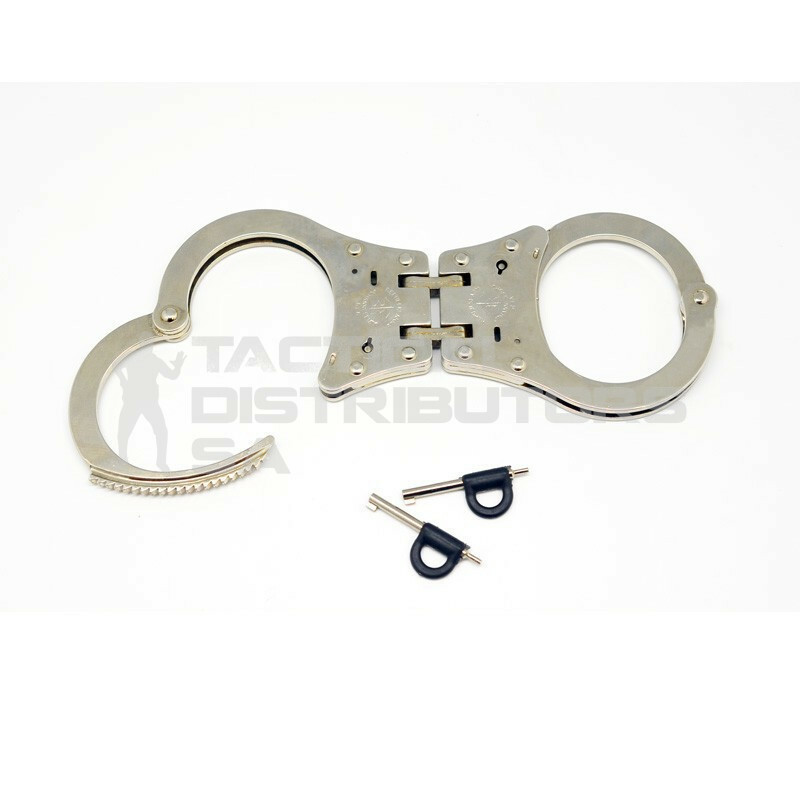 Hinged high security handcuff with patented double locking system. Unlocks and opens in a single key rotation. Double hardened positive acton locking pawls. All spring cold forged steel rivet construction. Includes 2 keys and instructions. Meets American Institute of Justice 0307.1. 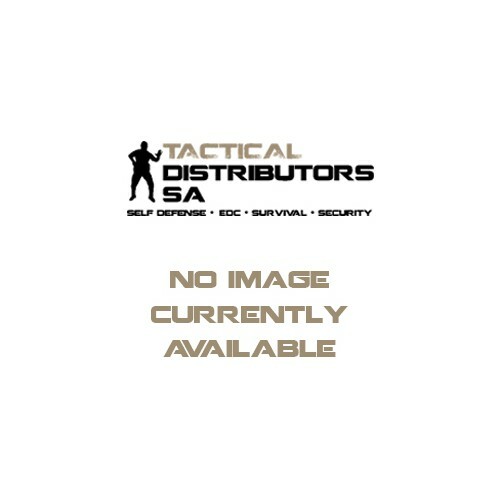 Features Hinged, patented double locking system. All spring cold forged steel construction. Includes 2 keys and instructions. Package Includes Set of handcuffs and 2 x keys.